Panel radiators are manufactured using cold rolled steel DC-01 in compliance with DIN-EN442 standards. 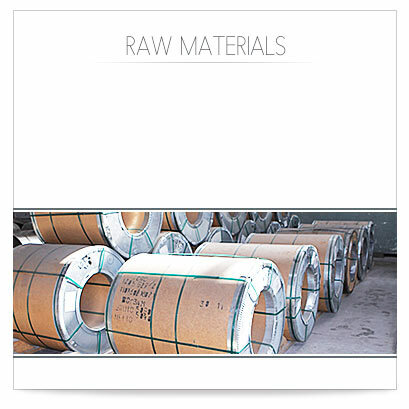 Raw materials are purchased from well-known suppliers, such as Mittal Group for cold rolled steel, which ensures the high quality of the materials. 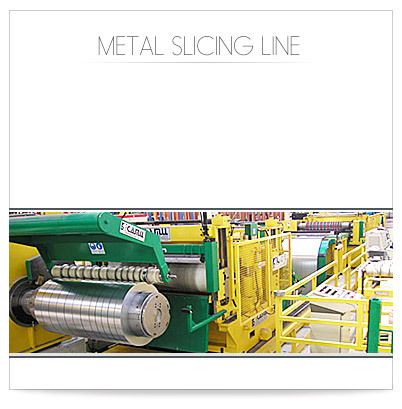 completely automatic with the technology that permits production speed up to 300 m/min. Towel radiators are manufactured in accordance with EN 442 standard with D-Profile steel welded tubes 40x30 mm and ø20 in automatic machinery for profile cutting, boring, welding and are treated and cleaned in automatic shotblasting cabins for long lasting protection against corrosion. 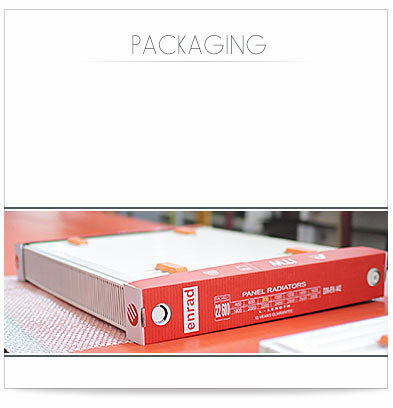 They are packed with cardboards, special foil and protective plastics cap. Panel radiator production and welding lines run with the most advanced machinery that comes from Germany, Switzerland and are licensed from MUHR and FAEL technologies. Production lines consist of panel press, multipoint welding of panels, welding of convectors, longitudinal and transverse welding, edge trimming and welding of hangers, hanging lugs and distance pieces. Radiators are each tested at 10 bar pressure and have an operating pressure of 7 bars. Panel radiators are given a 10-year guarantee and towel radiators a 5-year guarantee against flaws in material and operations. 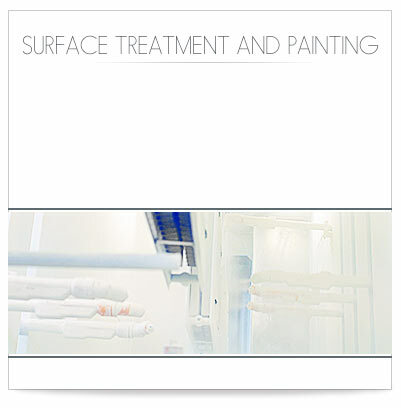 Surface treatment, coating and painting lines are equipped with the latest cabins from Germany and Switzerland. 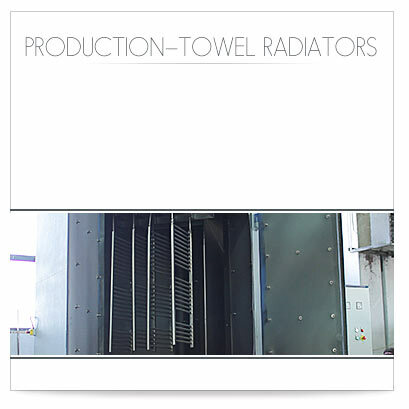 Radiators go through surface treatment and two stage paining processes, which ensure long life, high resistance to corrosion and ideal paint. They are painted with RAL-9010 epoxy polyester coating. 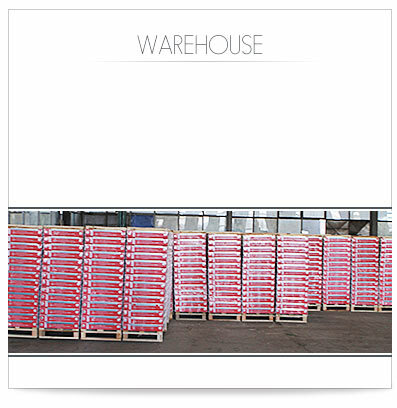 Radiators are stored on pallets and are transported on when covered. Radiators are stored on warehouse where they are protected from weather effects. No pellets are stored on top of each other. 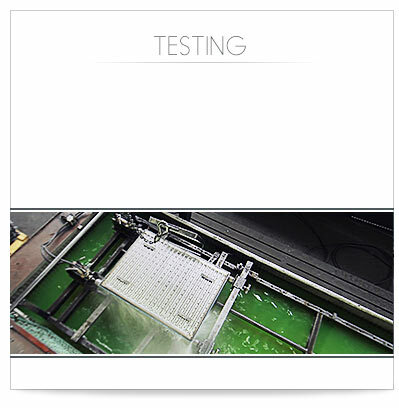 All products are stored according to their type and size. Products are carefully packed after final visual control. They bubble wrapped, protected with plastic on backside and cardboard on the sides in order to ensure safe transportation. 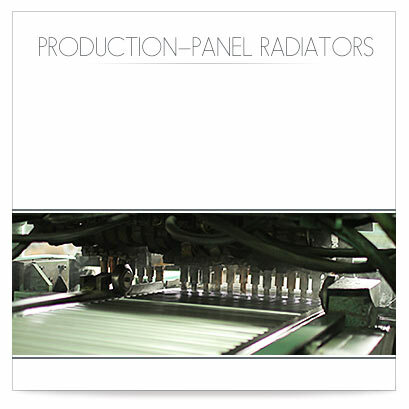 Each radiator is marked on the sides with its respective type and dimension, brand logo and certifications.